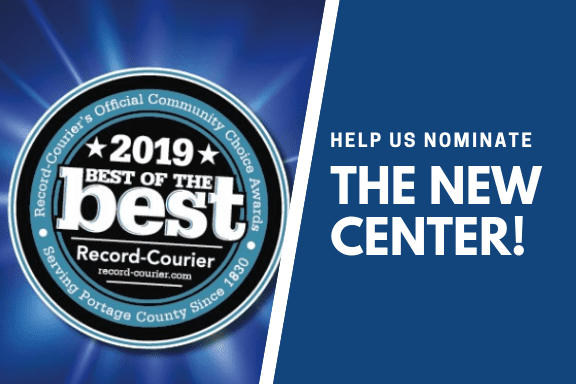 The 2019 Best of the Best Awards celebrate and recognize the very best that our community has to offer. Please click here to nominate The NEW Center for best WEDDING VENUE and BEST EVENT VENUE in the ‘People and Places’ category. The nomination period will be open from 4/7 – 4/16. While you are on the site, please nominate Sequoia Wellness for best FITNESS CENTER/GYM. Be sure to cast your vote once a day for The NEW Center and Sequoia Wellness!